Lord, will You take my life? I will build my life upon your love, it is a firm foundation. I will put my trust in you O Lord and I will not be shaken. In this life of uncertainty, in this one thing I can rejoice and know that I can be secure and safe in you O Lord, knowing that you have my life in your hands and my trust in you is built on solid ground. You never turn your love away from me Jesus, your goodness cannot be compared. Lord you are the restorer of my soul, you are my deliverance, you are my prince of peace, you make me whole. Thank you Father for your indwelling holy Spirit in my life to be my truth, my comfort, my guide. You are my all-in-all, you take care of me perfectly, thank you Lord. Fill me up with more of you Holy Spirit, empower me with your anointing to break every yoke in my life. Fill every place in my life with more of you, that any void will be turned into a longing that is totally captivated by your grace. Grant me peace, clarity, comfort, joy, patience, love and newness of life that I can be a vessel through which you can bless others. You are able to make event eh dark places in my life a testimony through which someone can be blessed. Thank you for turning around what the enemy meant for evil, and making something good out of the dark places in my life. You have a greater purpose for all that I face in this life and my trust is fixed in you because you have the final say. Lord, you glory shines round about me. You have called me to be a reflection of your beauty, a reflection and example of your love in the earth. You are my hope and joy forevermore. All of my life is wrapped up in You and I am confident in your awesome power to sustain me. Let me know you more O Lord, let me know your heart. Help me to walk closely with you and to not be tarnished but to have a fresh start with you. Let me be whole in you, to be satisfied in you, to be strong in you. Father you have a plan for me and will bring it to pass. Let me see your kingdom come and your will be done in and through my life. I am grateful that you love me. You show me what true love is and you care for me like no one else can. Teach me how to love like you do and help me to become more like you in my daily life. 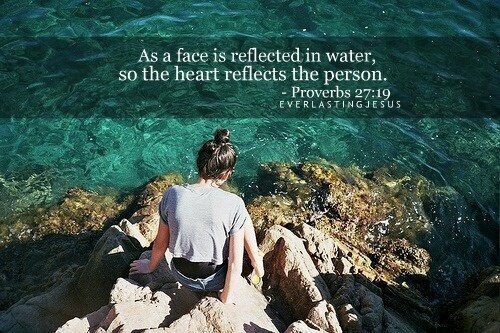 Lord, help me to grow more in love with you and to be your reflection, that your glory will shine through me. Help me to never put anything or anyone before you. You deserve first place always in all things. I trust in you Jesus, be glorified.